Sears Canada is offering a sweet “Beauty Gift”! 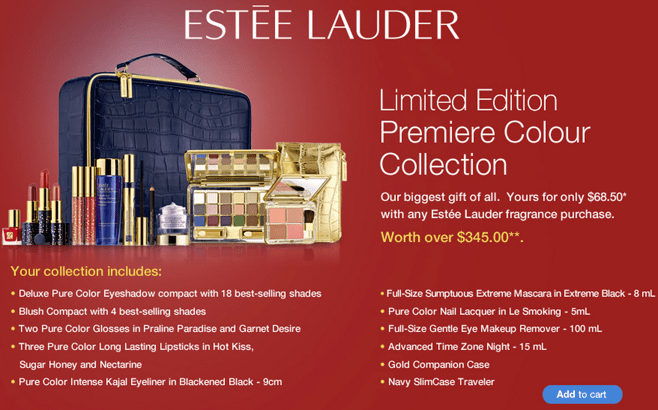 Get Estée Lauder Pre­miere Colour Col­lec­tion for ONLY $68.50 (worth over $345) with any Estée Lauder fragrance pur­chase. Click here to get this Estée lauder deal at Sears Canada online.